Words can not describe the rage I have for this final episode. 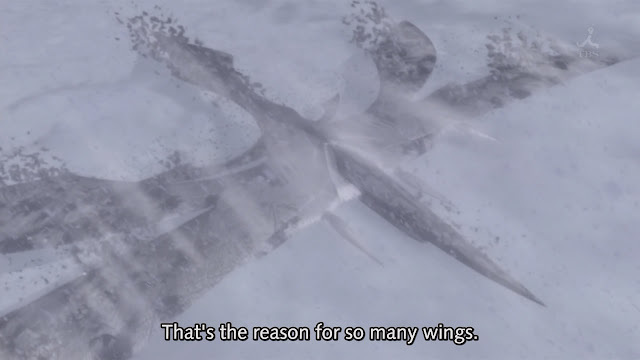 Still, I couldn't help but tear up a bit through this episode even as illogical as it was. 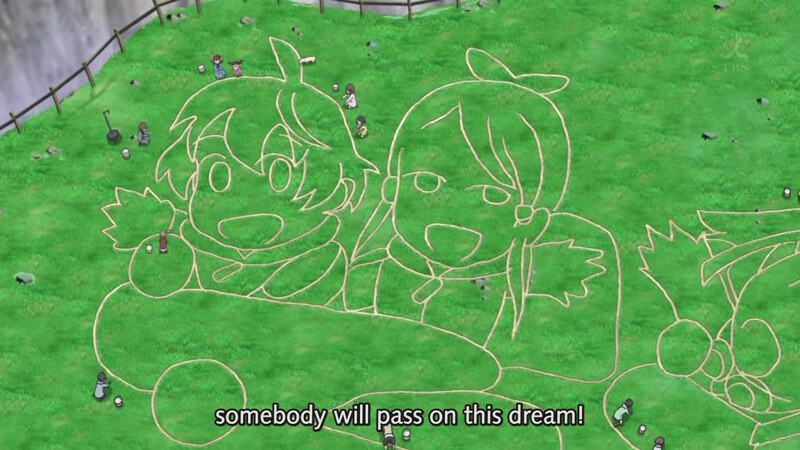 Almost a week after the episode aired for the subs to come. I already partially spoiled myself watching the raws though. 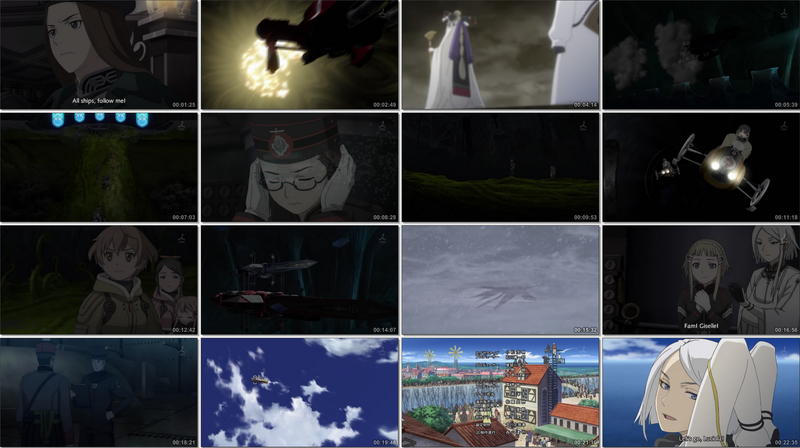 I gotta say, Last Exile: Fam was quite the disappointment from start to finish with no redeeming qualities. At least they explain why the Grand Exile seemed so weak. It was never meant to be a battle cruiser, it was Noah's ark. This is very questionable though. How is an engine able to fire as a high powered laser beam for such large distances. Think about it, they would burn their world to a crisp if they turned all their engines on at once. It seemed like faulty logic for an engine to be so high powered that it could be a weapon. Then we quickly jump in to the "resolution" of the whole show. 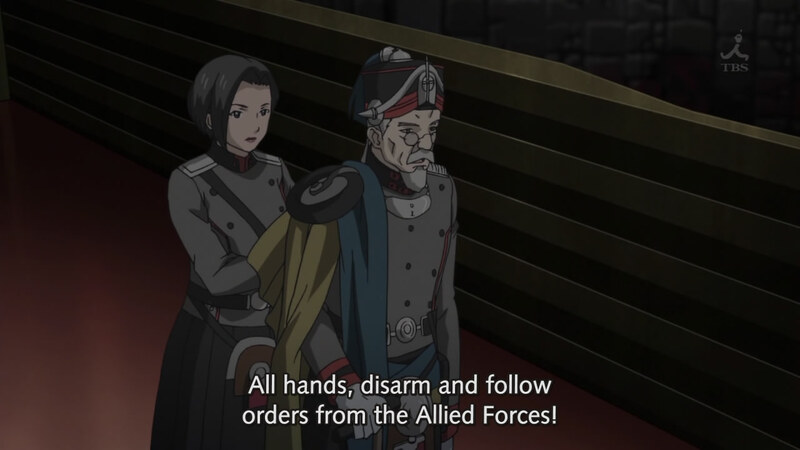 Luscinia wanted to be Lelouch and bring about peace by making himself the bad guy. This seemed far out in left base. There was never any hints of this before this episode, he even KILLED vasant. The point is to keep everyone rallied against him, not kill the one rallying them. This felt like the worst twist ever, I knew they were going to try and redeem Luscinia, but I didn't know it would be this bad. So in the end, the first season characters made zero impact on the story. Why was their a need to have a recap episode then? I thought Alvis was at least going to do something with her Exile, instead we get no fights and the power of moe winning. As expected, they never even tackled any of the issues that Luscinia mentioned like overpopulation and running out of resources. 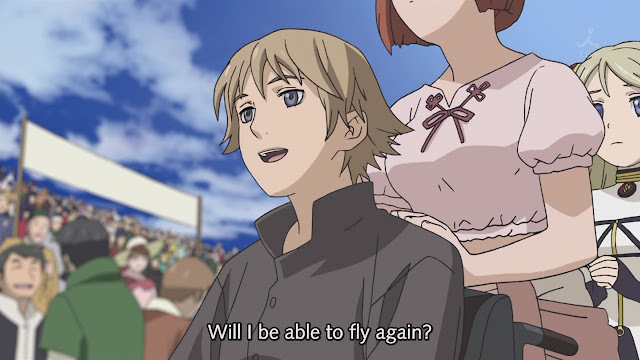 This anime was just so poorly written, worse then Guilty Crown which I didn't think was possible. I mean, they could have dedicated half the episode to the Grand Race and I am sure I would be more satisfied. As much as I hate Dian, I am glad Fam didn't rank. In the end, the anime focused purely on how to sell their characters and paid zero regard on a sensible plot. It was worse then just plot holes, it was non nonsensical writing. 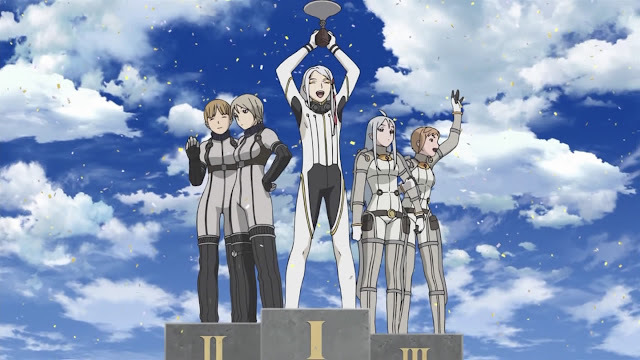 At least Guilty Crown took the effort to try and explain things, Last Exile just dumped crap in, named the show after chess moves and pretended it had any strategy involved. I regret watching this show, time of my life I will never get back.